The wrecks of a German U-boat and a merchant vessel it sank in the Battle of the Atlantic have been found 30 miles (48 km) off North Carolina. Researchers led by the National Oceanic and Atmospheric Administration found U-576 within 240 yds (220 m) of the US freighter Bluefields after 70 years. 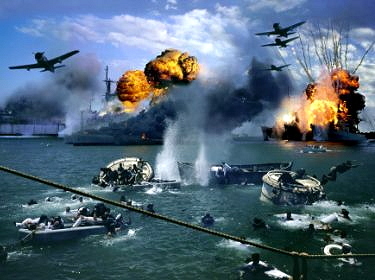 It is a “rare window into a historic military battle”, the NOAA said. The two ships met on 15 July 1942 when the German submarine attacked a convoy of merchant ships en route to Florida. The U-576 sank the Bluefields and seriously damaged two other ships. A US Navy Kingfisher aircraft in turn bombed the German vessel at the same time as it was attacked by the merchant vessel Unicoi. Bluefields and U-576 were lost within minutes, the NOAA’s account of the battle says. “Most people associate the Battle of the Atlantic with the cold, icy waters of the North Atlantic but few people realise how close the war actually came to America’s shores,” said David Alberg, superintendent of the NOAA’s Monitor National Marine Sanctuary. Bluefields did not suffer any casualties during the sinking but 45 crew members were lost on U-576. Germany’s foreign ministry appealed for the wreck site to be treated as a war grave to “allow the dead to rest in peace”. Britain is finally to award medals to Second World War veterans of the Arctic Convoy missions, David Cameron announced today. 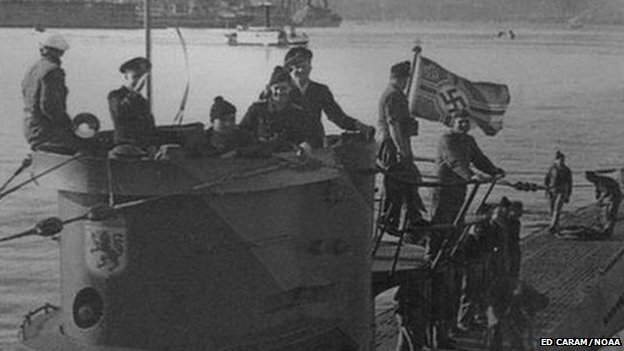 The government had previously refused to provide recognition of the sailors’ bravery in keeping supply lines open to the Eastern Front, because the conflict was too long ago. 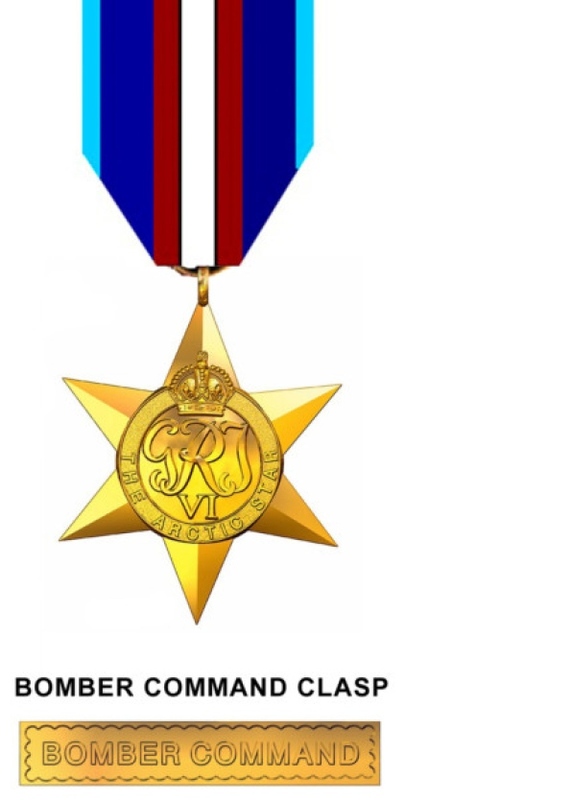 Now today, acknowledging that the issue of medals had ‘gone on for a very long time’, The Prime Minister told MPs a review had concluded that the men would now ‘get the recognition they so richly deserve’. Today, 70 years after Pearl Harbor, a remarkable secret history, written from 1943 to 1963, has come to light. It is Hoover’s explanation of what happened before, during and after the world war that may prove yet the death knell of the West. Edited by historian George Nash, “Freedom Betrayed: Herbert Hoover’s History of the Second World War and Its Aftermath” is a searing indictment of FDR and the men around him as politicians who lied prodigiously about their desire to keep America out of war, even as they took one deliberate step after another to take us into war. Yet the book is no polemic. The 50-page run-up to the war in the Pacific uses memoirs and documents from all sides to prove Hoover’s indictment. And perhaps the best way to show the power of this book is the way Hoover does it – chronologically, painstakingly, week by week. Consider Japan’s situation in the summer of 1941. Bogged down in a four year war in China she could neither win nor end, having moved into French Indochina, Japan saw herself as near the end of her tether. Inside the government was a powerful faction led by Prime Minister Prince Fumimaro Konoye that desperately did not want a war with the United States. The “pro-Anglo-Saxon” camp included the navy, whose officers had fought alongside the U.S. and Royal navies in World War I, while the war party was centered on the army, Gen. Hideki Tojo and Foreign Minister Yosuke Matsuoka, a bitter anti-American. On July 18, 1941, Konoye ousted Matsuoka, replacing him with the “pro-Anglo-Saxon” Adm. Teijiro Toyoda. The U.S. response: On July 25, we froze all Japanese assets in the United States, ending all exports and imports, and denying Japan the oil upon which the nation and empire depended. Stunned, Konoye still pursued his peace policy by winning secret support from the navy and army to meet FDR on the U.S. side of the Pacific to hear and respond to U.S. demands. U.S. Ambassador Joseph Grew implored Washington not to ignore Konoye’s offer, that the prince had convinced him an agreement could be reached on Japanese withdrawal from Indochina and South and Central China. Out of fear of Mao’s armies and Stalin’s Russia, Tokyo wanted to hold a buffer in North China. On Aug. 28, Japan’s ambassador in Washington presented FDR a personal letter from Konoye imploring him to meet. Tokyo begged us to keep Konoye’s offer secret, as the revelation of a Japanese prime minister’s offering to cross the Pacific to talk to an American president could imperil his government. On Sept. 3, the Konoye letter was leaked to the Herald-Tribune. On Sept. 6, Konoye met again at a three-hour dinner with Grew to tell him Japan now agreed with the four principles the Americans were demanding as the basis for peace. No response. On Sept. 29, Grew sent what Hoover describes as a “prayer” to the president not to let this chance for peace pass by. On Sept. 30, Grew wrote Washington, “Konoye’s warship is ready waiting to take him to Honolulu, Alaska or anyplace designated by the president.” No response. On Oct. 16, Konoye’s cabinet fell. In November, the U.S. intercepted two new offers from Tokyo: a Plan A for an end to the China war and occupation of Indochina and, if that were rejected, a Plan B, a modus vivendi where neither side would make any new move. When presented, these, too, were rejected out of hand. 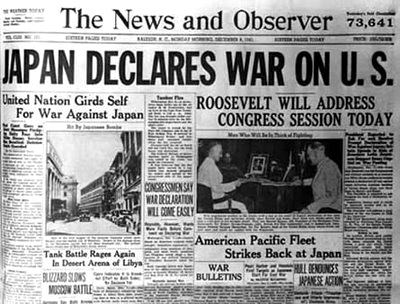 At a Nov. 25 meeting of FDR’s war council, Secretary of War Henry Stimson’s notes speak of the prevailing consensus: “The question was how we should maneuver them (the Japanese) into … firing the first shot without allowing too much danger to ourselves.” “We can wipe the Japanese off the map in three months,” wrote Navy Secretary Frank Knox. This story is purported to be true; I cannot account for that. Following the Second World War a Dutch fighter pilot with the RAF was being interviewed live on the radio. 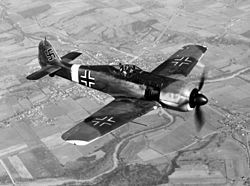 The story continued and the announcer explained at the end that the Fokker was a German fighter of renown ability. 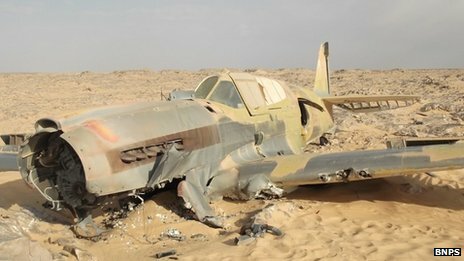 A World War II RAF fighter, which crash-landed in a remote part of the Egyptian desert in 1942, has been discovered almost intact. There was no trace of the pilot, Flt Sgt Dennis Copping, but the British embassy says it is planning to mount a search for his remains. The RAF Museum in Hendon, north London, says it is hoping to recover the plane as soon as possible. There are fears souvenir hunters will start stripping it. The 24-year-old pilot, the son of a dentist from Southend in Essex, went missing over the Western Desert in June 1942, flying an American-made P40 Kittyhawk single-engine fighter. Two-and-a-half months ago an aircraft believed to be his was discovered near a remote place called Wadi al-Jadid by a Polish oil worker, Jakub Perka. His photographs show the plane is in remarkably good condition, though the engine and propeller have separated from the fuselage. The original paintwork and RAF insignia are said to be clearly visible, almost perfectly preserved in the dry desert air. But of the pilot there is no sign. He appears to have executed a near-perfect emergency landing, perhaps after becoming lost and running out of fuel, and to have survived the crash. British and Burmese authorities could work together to find 20 Spitfires buried in Burma at the end of the World War II, officials say. The case of the missing planes was raised when PM David Cameron met Burmese President Thein Sein. A Downing Street source said it was “hoped this will be an opportunity to work with the reforming Burmese government”. The exact location of the planes is unknown. The planes were buried in 1945 by the RAF amid fears that they could either be used or destroyed by Japanese forces, but in the intervening years they have not been located. At the time they were unused, still in crates, and yet to be assembled. Until a general election in 2010, Burma was ruled for almost half a century by a military junta. It has been reported that experts from Leeds University and an academic based in Rangoon believe they may have identified the sites where the craft are concealed using sophisticated radar techniques. On Friday, officials said President Thein Sein was “very enthusiastic” about the prospect of finding and restoring the planes. 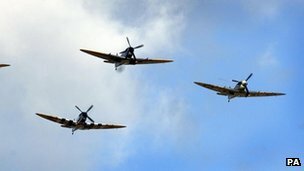 A Downing Street source said: “The Spitfire is arguably the most important plane in the history of aviation, playing a crucial role in the Second World War.